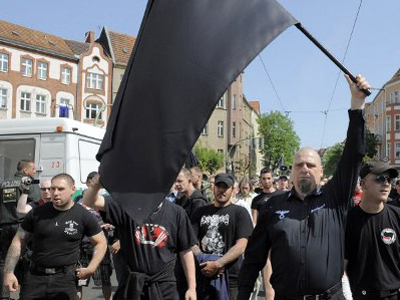 The rise of neo-Nazism across Europe has been progressing steadily, with Germany in particular seeing more and more young people being drawn to extreme-right groups. RT’s Egor Piskunov has been examining what is driving this dangerous trend. With a population of only 6,000, Zossen is a typical small German town, remote from large industries and financial centers. Life here is calm and peaceful – or at least it used to be, before 2009. It all started with Nazi symbols appearing around the town. Then a local social center was torched. A young man who openly identifies himself as a neo-Nazi, and who admitted encouraging a teenager to set the center on fire, is now being prosecuted and faces up to two years behind bars. Jörg Wanke, who has spearheaded a campaign against neo-Nazis in his home town, has seen his own office vandalized. 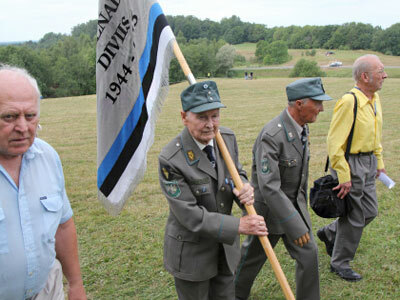 He says the final straw came when neo-Nazis marched through Zossen’s main square. “I used to be afraid, but it helps not to act alone, to have supporters. I became a public person with our initiative and it's sort of my protection,” says Wanke. Another activist, Peter Schmidt, says the town is divided on how to respond to the neo-Nazi threat. “Some say we're exaggerating and are only making things worse by attracting too much attention. But I think they are simply afraid,” he says. Activists say it is easy for the neo-Nazis to recruit new members, especially among disillusioned and dejected teenagers. With poor infrastructure and high unemployment, and few social escapes on offer in the town, it is often simply boredom which drives them to extremes. Unfortunately, the problem with neo-Nazism in Germany exists on a much wider scale. 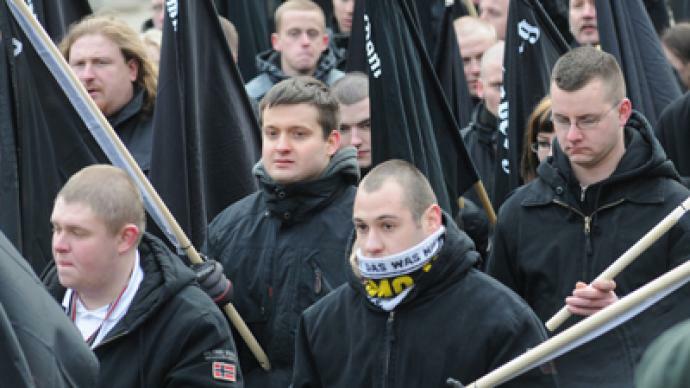 Thousands of neo-Nazis gather for annual marches in Dresden, often clashing with police and anti-fascist activists. And in November, German police caught two suspects believed to be members of a neo-Nazi terror cell involved in killing at least 10 foreigners. While the scale of the problem is daunting, analysts believe the causes are more or less banal. They say it is money struggles rather than just boredom which are igniting the trouble. “Economic unrest causes unrest in families, conflicts in families, and if they're not solved we have a kind of rage. But now the rage was escalated by racist agitation and even neo-Nazi groupings,” explains Hajo Funke, an extremism expert and professor at Berlin's Free University. Germany’s focus may currently be fixed on spending billions to pull the eurozone out of its crisis, but it ignores economic trouble at home at its peril. If left unchecked, it may not be too long before a disenfranchised youth drags Germany towards some of the biggest mistakes of its past.